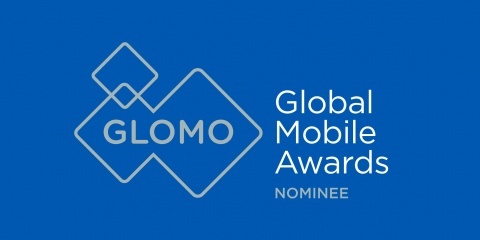 MWC’s Global Mobile (GLOMO) Award nomination recognises Zeetta Networks’ cutting-edge NetOS® 5G network slicing technology. NetOS® transforms a 5G network into a “sliceable” programmable platform where each user or tenant gets their own secure and dedicated network slice which they can manage and configure themselves, opening new opportunities for smart cities and smart venues, to share and manage network infrastructure more effectively. This new GLOMO award category bolsters the growing importance of software-defined networking technologies for the future developments of the mobile industry. Zeetta Networks has been nominated for the Best Network Software Breakthrough GLOMO Award at the 2018 Mobile World Congress. The GLOMOs have been likened to the Oscars for the mobile industry, highlighting the best and most innovative developments in technology. The coveted nomination is in recognition of Zeetta Networks’ NetOS® platform that allows orchestration of 5G networks through slicing and virtualisation. NetOS® is designed to manage physical or virtual networks and to support multi-tenancy, multi-vendor, and multi-technology, for an end-to-end provisioning of diverse services over a 5G network each with its own performance and resource requirements. This important advancement of networking technology has caught the eye of the nomination panel at GSMA, due to its essential role in the operation and management of 5G networks. The category of Best Network Software Breakthrough is new this year and aims to highlight outstanding software innovations leading to dramatic changes in network costs, functionality, and business cases. Zeetta Networks is active in delivering projects in the UK, from smart venues to smart cities. For example, at Ashton Gate Stadium, Bristol, UK, NetOS® has created the world’s first truly programmable stadium based on a high-density Wi-Fi network deployed across the entire stadium. Separate sub-networks (aka “slices”), can be created on-demand and configured automatically by event triggers, time, or other mechanisms. This capability enables the dynamic provisioning of connectivity services to different users groups, devices or applications thus making it particularly applicable to networks in multi-purpose venues such as stadia, exhibition centres, serviced offices, etc. NetOS® is also a central component to the ‘Bristol is Open’ Smart City testbed and to the UK Government’s 5G Hub, which is trialling network virtualisation and slicing for 5G services. Zeetta Networks will be attending Mobile World Congress in Barcelona, and you can discover more of the development and potential applications of NetOS® by visiting us at our stand, 7B13.